This information is for educational purposes only, and is available in "Wao Akua." 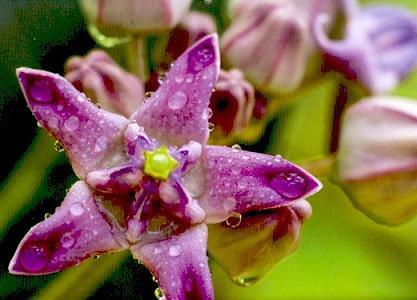 Hawaii's forests are filled with fragile and wonderful things, some of which are in serious danger of becoming extinct. In the next Century may see restoration of of some of these valuable, rare, native forests, or, like so many fragile and wonderful things, they may be swept away. There are many citizens of Hawaii who are working to protect their sacred resources. To preserve4 these valuable resources we all need to do what is scientifically and spiritually wise. 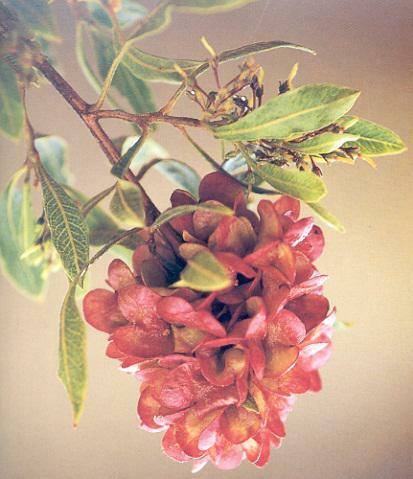 Naio is a dry/forest coastal shrub or tree found in association with mamane on the wetern slopes of Mauna Kea but also relatively common elsewhere in Hawai'i. The somewhat wood of Naio, or false sandalwood, served as a poor substitute after most of the true sandalwood trees had been cut for export. Naio was frequently used in the building of Hawaiian houses. 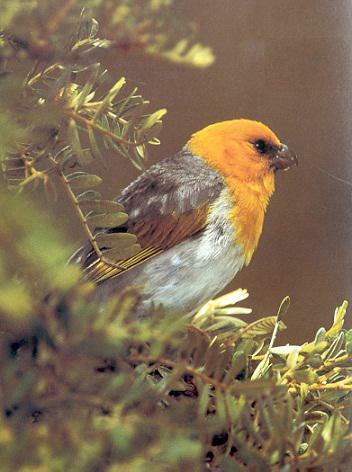 The Palila bird is highly vulnerable to weather-relatedannual fluctuations in seed availability. This bird needs a highly specific diet: the fantastic finch-like bill enables it to feed on the seeds of the endemic mamane. 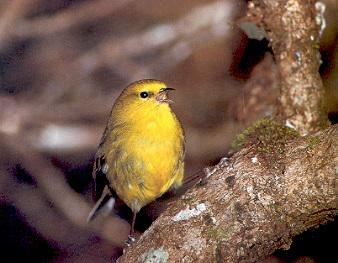 The subalpine dry forest habitat of the mamane and palila is one of the most threatened in Hawai'i. A'ali'i ranges in size from one foot shrub to 30 foot high trees.This plant is common in dry and mesic ecosystems on all islands. 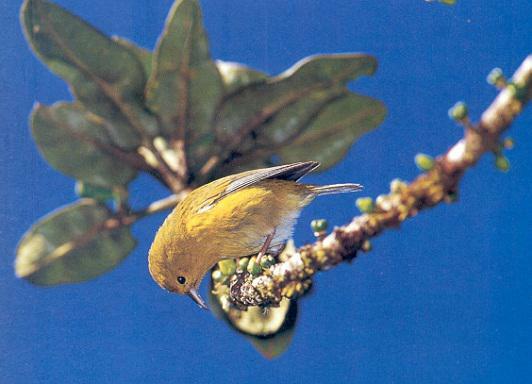 This smallest of the native Hawaiian birds is endemic to the island of Kaua'i. There it is relatively widespread in the upland forests, where it is able to tolerate significant habitat disturbance from alien plants. 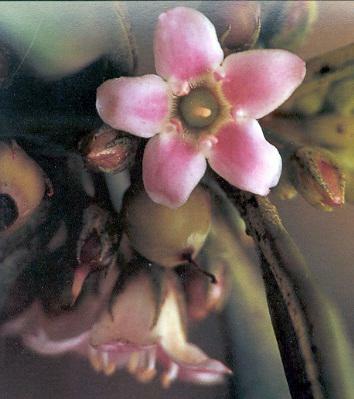 This endangere plant, related to the daisy family is a member of Hawaii's endemic genus. 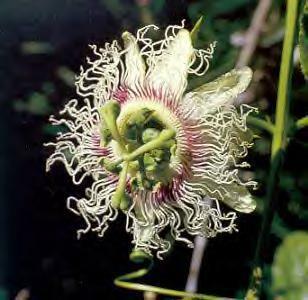 The pollinator is unknown and is likely extinct, as this unusual flower does not produce seeds. 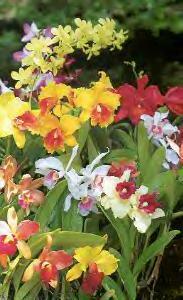 Propagation from cuttings and tissue cultures has been attempted with no success. 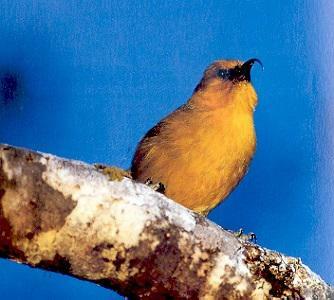 This is one of the birds found in high elevation forests. In areas where native birds are still found, ohi'a lehua are filled with the sounds of birds such as the i'iwi, amakihi, and apapane seeking out its nectar. 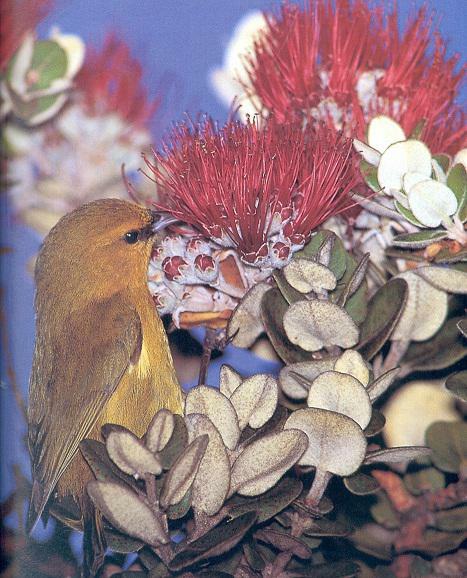 The amakihi, one of the most common native forest birds, pictured here, drinking lehua nectar. 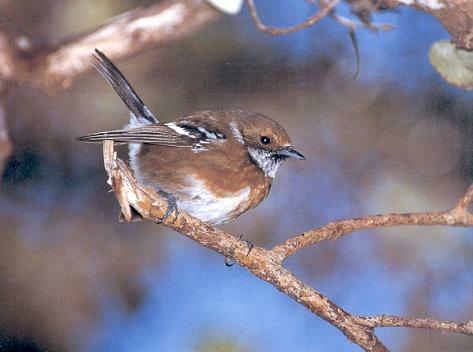 This is the most sociable of native birds. If you are in a forest it may pearch very near your head. Elepaio is renowned for its mischief and ability to guide people to the best canoe logs. 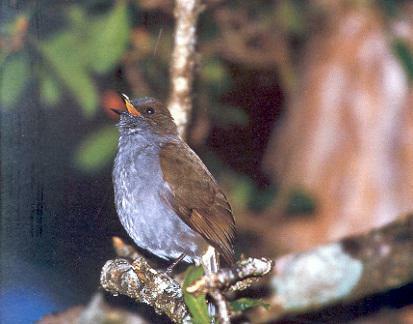 The elepaio is also perhaps the world's most versatile bird in terms of foraging habitat. 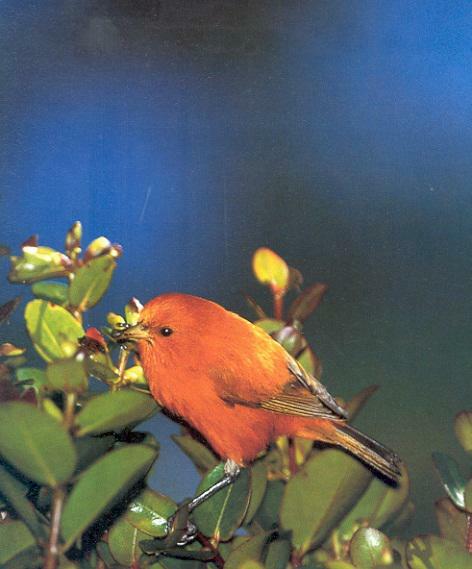 Akepa is unique among Hawai'i's birds. 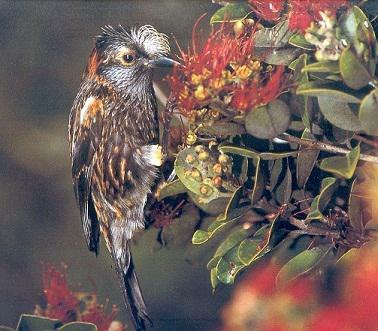 Endemic to the island of Hawai'i.It also has developed a highly unusual bill. It's lower bill curves to one side, making it asymmetric. 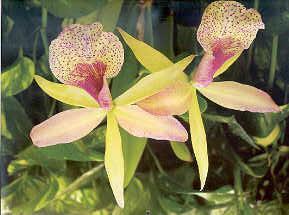 This helps it to pry open buds to snare the insects within. Threats to this beautiful bird's survival comes from mosquito-born avian diseases, pigs, nest prdation by rats, and introduced yellow jackets and ants, which compete with it for prey. The hill called Waolani is pointed to as the place from which human beings sprang, and the hill and the theme of creation are linked in that one line. To have experienced such a place and stood in the forest there, how could the heart not be filled with aloha? There is so much to be done to save the plants and animals on this earth, as we know it today. So many species are endangered, and so many are already extinct. It needs the effort of every nation, and for that matter, every human being to lend a helping hand to preserve all the natural beauty what is left. Thank you for this very lovely post. Yoko is right, we all need to do our part to save the natural beauty of our world. I picked up this image and text from one of your earliest posts, Inda. I hope you don't mind my posting it here? The Silversword is a very unique plant, only found in Hawaii. The Hawaiian silversword is an indigenous plant consisting of a rosette of narrow, pointed (swordlike) leaves densely covered by silver hairs that form a sphere. 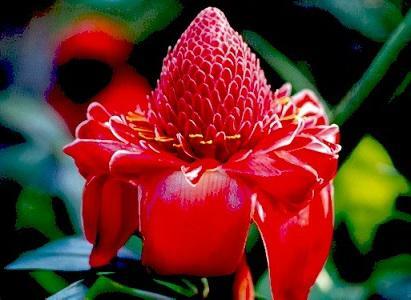 At some point during its life it sends up a spectacular flowering stalk that can reach six feet in height. Each stalk can produce hundreds of maroon sunflowerlike flower heads. 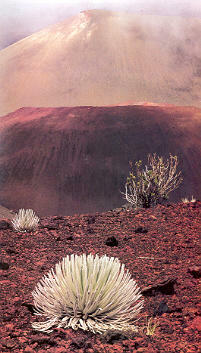 The Haleakala silversword is found in the crater and outer slopes of Haleakala Volcano above the 6,890-ft elevation. The silversword flowers only once, at the end of its lifetime (15-50 years), produces seeds and then dies. Thank you for sharing Inda. Thank you for the lovely post Inda. 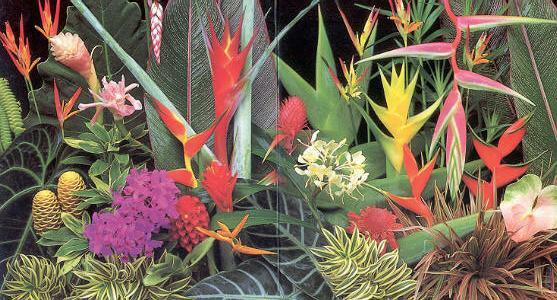 Hawaii truly has a great deal of unusually beautiful plants and birds. I am amazed at you Vicky for finding this image from an old post..thank you. Thank you yoko, Vicky and Sue. I am very happy that you even remembered my old post and that you added it to this thread Vicky. Silversword is quite a unique plant. 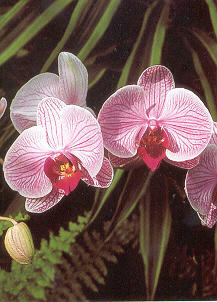 Let us hope that it will continue to thrive on the island of Hawaii. Hawaii really has much natural beauty. 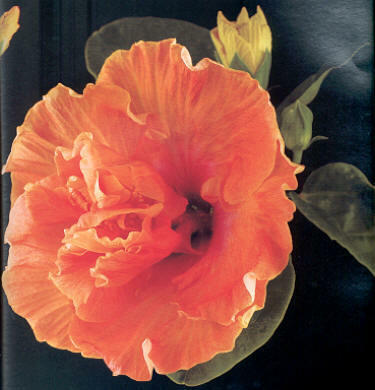 I had to ad this lovely hibiscus from an earlier post. Awesome collection! Would like to have some tips about this photography from all you experienced guys. A lot of the photos were probably taken with a telescopic lense. It needs some fancy camera to catch little birds from far away. I don't think that our basic digital cameras will zoom in so far? I am glad that you like these pictures. Thank you Albert Hickman for the lovely image. 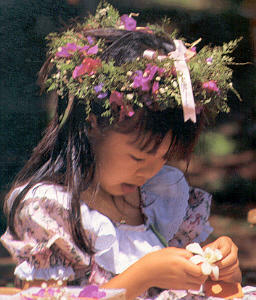 Here is a little Hawaiian making a lei with plumeria. Thank you Albert Hickman and welcome. Your image is a beautiful addition to this thread. 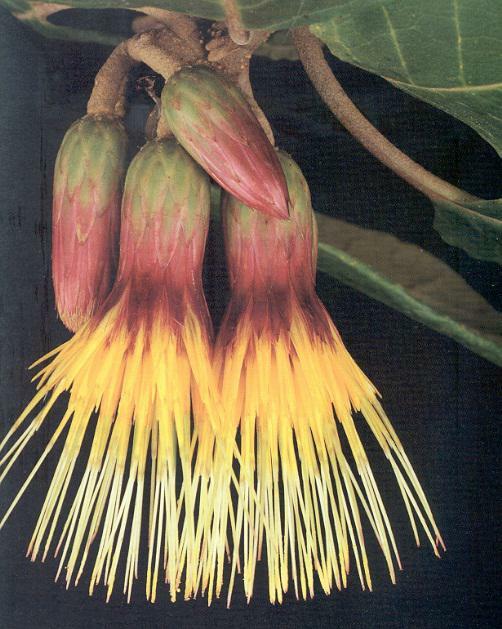 This plant, the Kokia cookei would definitely be extinct without the effort of Waimea Arboretum. 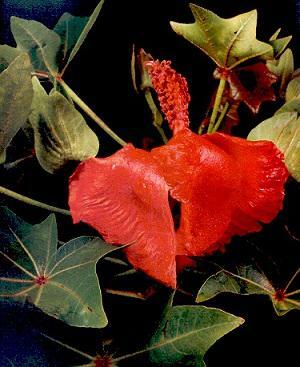 Three of the four species of this hibiscus family genus, unique to Hawai'i are endangered, and the fourth is extinct. 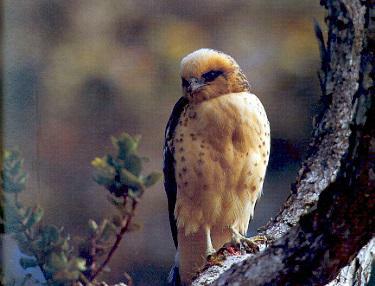 The Hawaiian Hawk, formerly found on O'ahu, Moloka'i, and Kaua'i; today they remain only on the island of Hawai'i, primarily in forested areas. 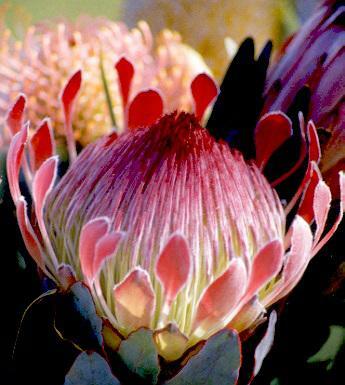 Protea King flower is an incredibly unique tropical flower . 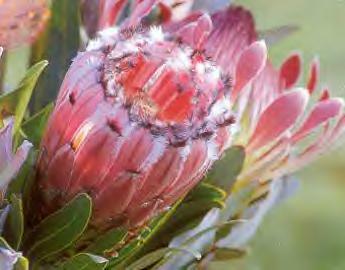 This flower is the largest in the protea family and features a huge white fuzzy center that gently slopes upward to a soft point. 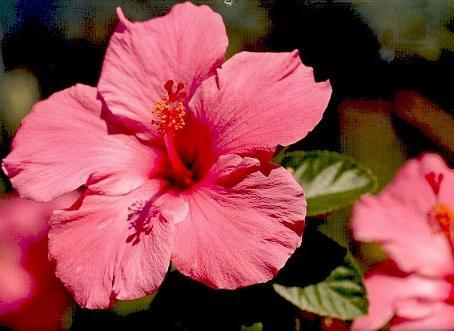 Spiky pink petals surrounding the center give it a regal look; from the side it looks like a crown. Leathery green petals cradle the heavy head and a thick stem supports it. Thank you Inda for these lovely images. 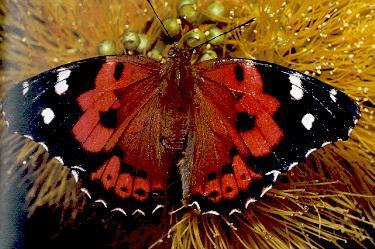 Sadly many plants and animals are becoming extinct. Let us enjoy them while we can. 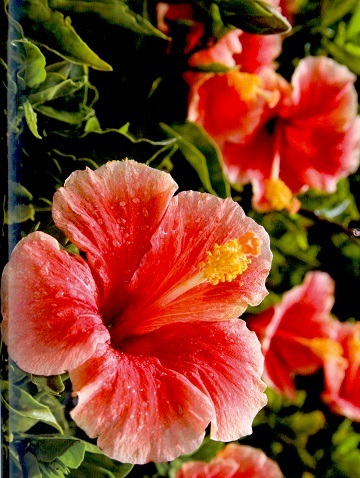 Hopefully the Hibiscus will still survive. The Hawaiian crow is no longer found in the wild, but 45 birds are being bred in captivity, with the hope that they can be reintroduced into the wild. 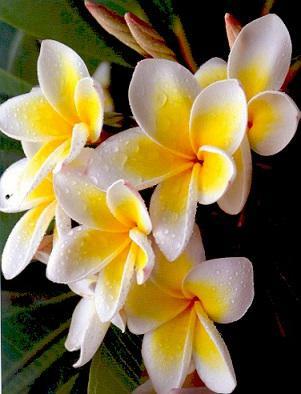 Plumeria can still be found in abundance. 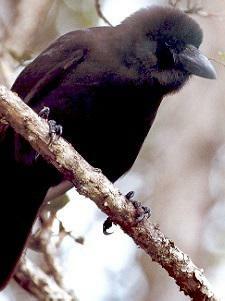 Akiapola'au has a very unusual multytool beak to allow it to feed on insects hidden in trees. Thank you for this beautyiful thread. 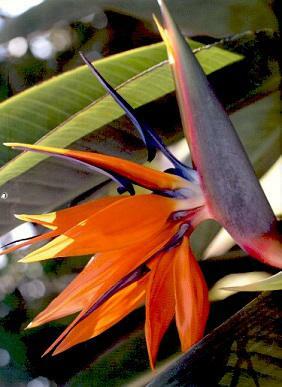 I found a Bird of Paradise which I am sure grows on the Islands of Hawaii quite abundantly. I like all the little birds on page 1 of this thread. Thanks for bringing back this nice thread. 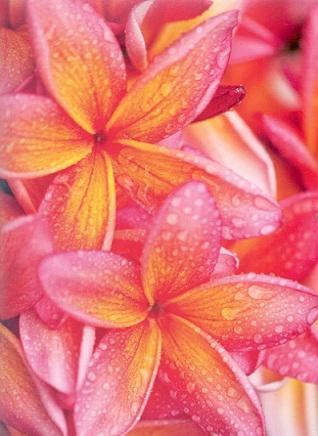 I think that pink Plumeria is still quite abundant in Hawaii, and I hope that it stays so. This is a beautiful thread.I am enjoying the whole topic.